Award-winning historian Deborah Cohen, whose latest book offers a sweeping and often surprising account of how shame has changed over the last two centuries in Britain, will visit campus this month to deliver the 11th annual installment of the W. Bruce Lincoln Endowed Lecture Series. 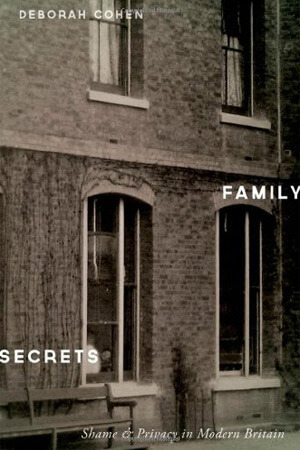 “Drawing on years of research in previously sealed records – volumes of diaries that gay men hid in bank vaults or in trunks under their beds, records of homes for unwed mothers and of institutions where children with learning disabilities were put away for a lifetime – I tell an intimate history of why social mores changed,” Cohen says. The lecture will make a surprising argument, she says: Secrets laid the cornerstone for legitimate claims to privacy. “No one today wants to believe that their right to privacy depends on keeping secrets,” she says. Educated at Harvard (B.A.) 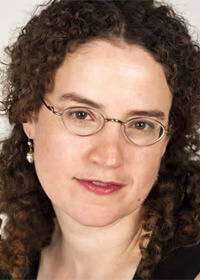 and Berkeley (Ph.D.), Cohen specializes in modern European history, with a focus on Britain. Her two previous books – “The War Come Home: Disabled Veterans in Britain and Germany, 1914-1939” and “Household Gods: The British and their Possessions” – also received critical praise, as well as multiple book awards. She has held fellowships from the Mellon Foundation, the National Humanities Center, the American Council of Learned Societies and the John Simon Guggenheim Memorial Foundation. Sponsored by the NIU history department and the W. Bruce Lincoln Endowment, the Lincoln Lecture Series is free and open to the public. For more than a decade, it has brought distinguished scholars to campus to speak on topics of interest to the academic community and general public. The lectures engage key issues and are often interdisciplinary, in the spirit of Professor Lincoln’s research, writing and teaching. Lincoln taught Russian history at NIU from 1967 to 1999, while earning recognition as one of America’s leading experts on Russia. The recipient of many national grants and awards, he published 12 widely acclaimed books on Russia, several of them skillfully crafted for general readers.